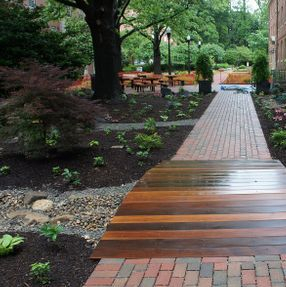 Landscape design is not only about making your yard beautiful but more livable as well. Do you have slope problems? Does your home need more privacy or better security? 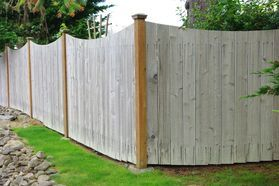 Do you need to hide an unsightly view or create an outdoor entertaining area? 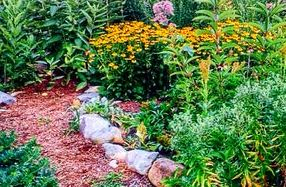 Good landscape design can help to solve these problems and much of it can be accomplished by the average homeowner. 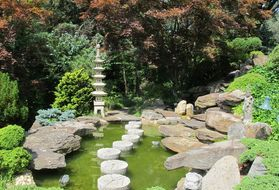 If you feel that a task is to difficult, professional landscape designers can help. You can prevent a lot of problems and avoid unnecessary work by planning before you dig. Here are a few steps to get you off on the right foot. Assess Your Landscaping Needs: Start by analyzing your current situation. Over the course of a year make a list of the things you like; shade, flowers, a favorite tree or view. Also, note things you don't like; bad views, poorly placed plants, drainage or slope problems. 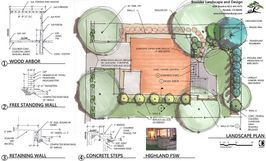 Weigh Your Family's Needs: All landscape improvements should fulfill a specific need. 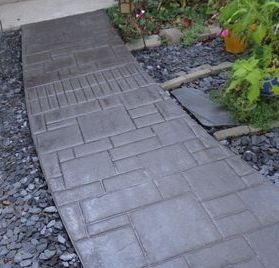 Do not add anything to your landscape that does not solve a problem or highlight a favorable feature. Are there certain activities that your family enjoys? Keep these in mind when designing your new garden. Gather Ideas: There is nothing wrong with borrowing ideas from other yards. Make notes about plants you like, textures, colors or other design elements you see. Browse through garden design books, the internet, or clip photos from magazines. Professional Help: Throughout this process, consider whether you can accomplish your landscaping goals yourself. 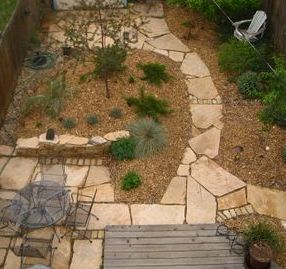 Professional landscapers and landscape designers can help you with part, or all, of your landscape plan. Dare to Dream: Remember to check your local building codes, deed restrictions and easement regulations. Don't let the cost or amount of work limit your imagination. Often with proper planning impossible ideas can work! Draw a Plan: Once you have formulated a general plan try sketching it out on paper. Make a map of your yard to scale on graph paper. Contact your local utility providers and have them mark the utility lines in your yard. 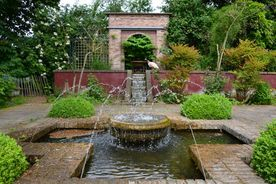 The style of a garden is largely responsible for how it feels. Is it formal and geometric or informal and free-form? Styles can be traditional or one which expresses your personality. 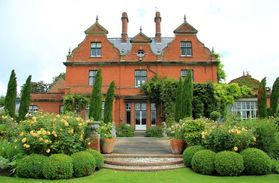 Remember to match the style of garden to your house. Also, think about how much time you have to garden each week. Some styles require more maintenance than others. Don't feel like you have to copy a style. 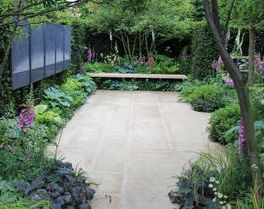 Use your garden style as a loose outline for your garden and then make it your own. A monochromatic color scheme would include only one color. Here white is used as the only color in this container. What is a focal point? 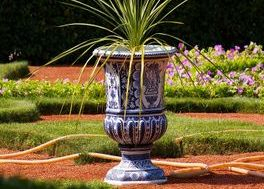 A focal point is anything in your garden that draws your eye. 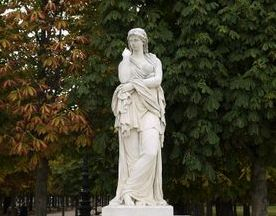 It can be a bench, statue, fountain or plant. Where should you place your focal point? Stand inside your home and look out your window. Let your window frame the view and place your focal point where you can see it from inside. Focal points are also great for distracting the eye. 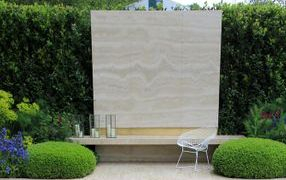 If there is an unfavorable view in your garden place the focal point so that it draws the eye away from that view. 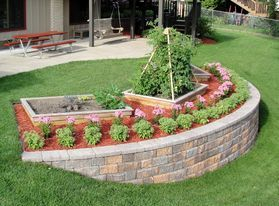 The garden hardscape consists of the non-living parts of your garden; the patio, deck, fence or wall. 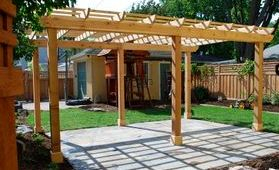 Garden structures such as arbors and gazebos are also a part of your hardscape. 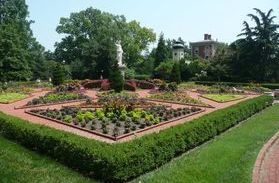 Many of these can be built by the home owner but in some instances it might be best to call a professional landscape contractor for more difficult projects. 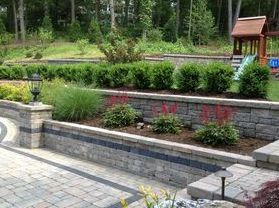 Your outdoor living areas are a part of your hardscape. Patios and decks should be located where they are easily accessed and where you will enjoy them the most. 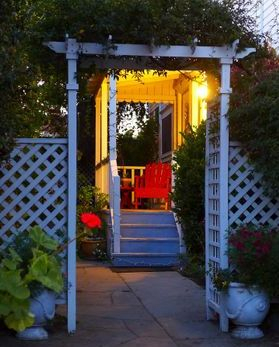 Here are a few ideas to help you design your outdoor space.